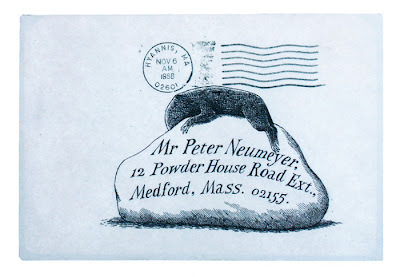 Between September 1968 and October 1969, Edward Gorey arranged to collaborate on three children's books with author and editor, Peter F. Neumeyer. Over the course of this 13-month period, they exchanged a series of letters that contain musings on a wide range of topics from insect life, to the writings of Jorge Luis Borges, to Japanese art. 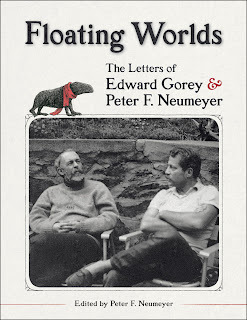 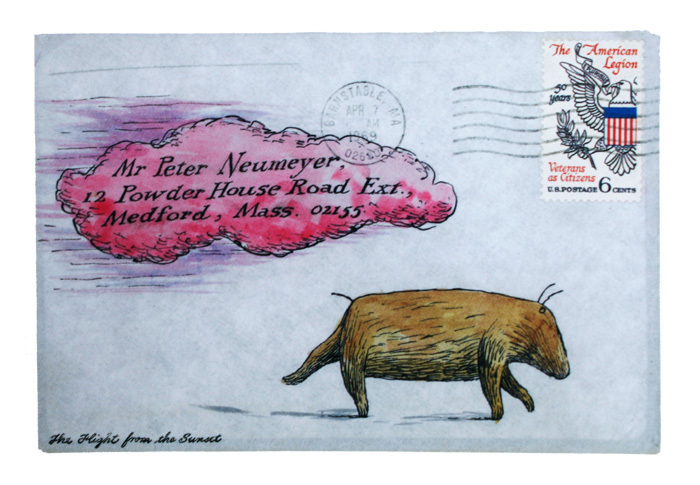 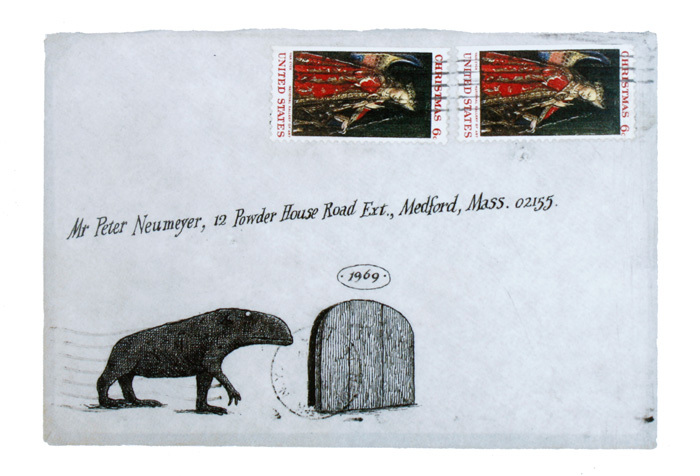 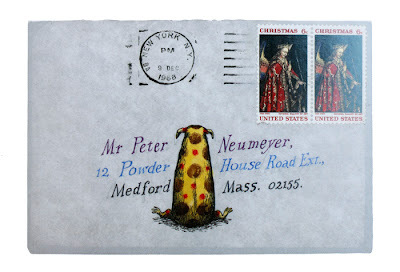 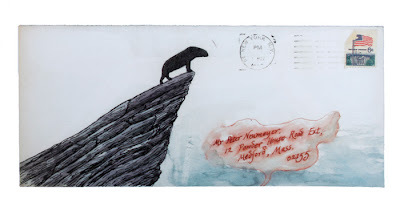 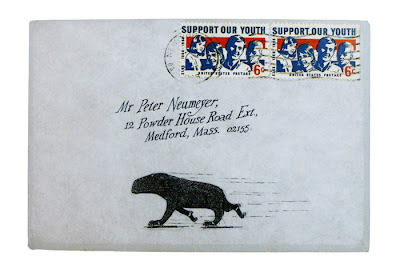 Today, Neumeyer has published this treasured collection of memorabilia and correspondence, Floating Worlds: Letters of Edward Gorey and Peter F. Neumeyer. It's a powerful memoir of an unusual friendship, containing a collection of 75 letters, more than 60 postcards and illustrations, and 38 delightfully illustrated envelopes. 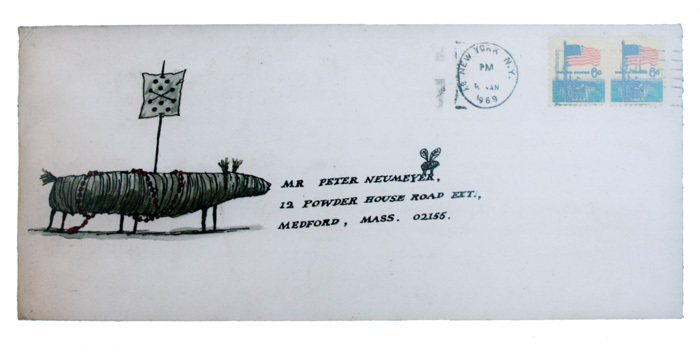 We just had to share some of them with you! We feel the same sort of delight each time we visit By Land By Air By Sea that we blogged about last summer here. I think I feel this same delight!